People probably assume that in music composition, the importance of vocal is above all other elements. Understandable, since music preserves dialogue, diplomacy, even resistance. Unarguably, in modern music vocal is the shaft of the composition. I mean, you know it’s a love song when you heard the lyrics, don’t you? Vocals spruce music into something more tangible, more humane. In the same time when vocals interpret a song, it also shackles into something inevitable. Meanwhile in instrumental songs, you don’t need to be shackled around vocals. It’s purely your imagination that brought you into places. You can choose to make a song become sad, happy, corny or lusty. Instrumental songs also decently habituate your senses into certain mood, which for me is very useful. 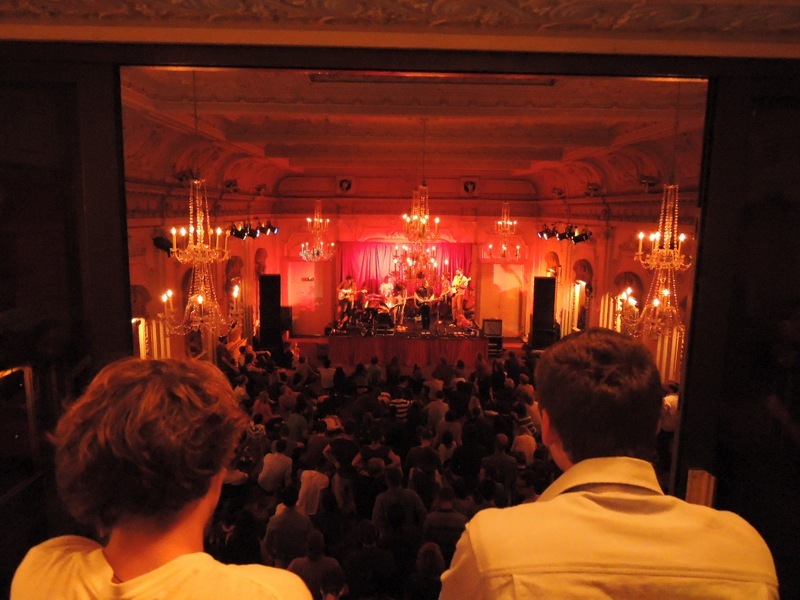 I never thought that Bush Hall is such a picturesque spot for live music. 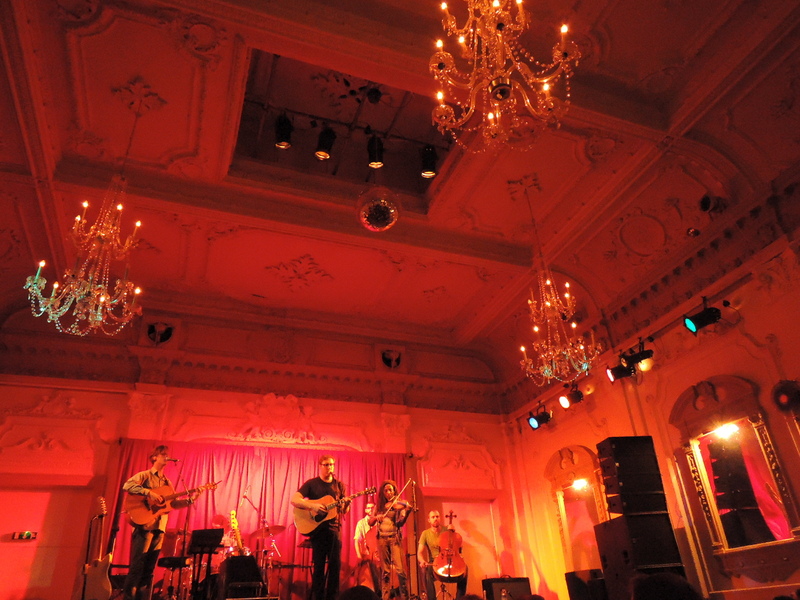 It was my first gig after I arrived in London so I came without any excessive expectations. As I entered the venue, luminous reddish light politely shrouded. Resplendent chandeliers hanging on the plafond were so awe consuming, I keep staring at them for the first 20 minutes. Established in 1914, the place witnessed some of today’s biggest acts in their rookie days; Adele, Kasabian, Kings of Leon, The Killers and many more. The set started slow. A kind of slow that makes you curious. A slow that anesthetized and seized your attention. It was their nifty details that totally bowled up the game. I honestly never saw a band with that level of mobility; everyone in the band could play at least four different instruments, changing formation in the middle of the songs 2 or 3 times. Each layer of the music was carefully added and calculated. “Stranger” – the sextet latest album – is compact and torrential in the same time. It captures novelty with the exact amount of progression. Coupled with the smartly written arrangement, it showcases fresh sounds and dynamics. “Fake Realty” – my favorite – was the big blow that night, slithered through dense string section before finally herded with mercurial glockenspiel through an epic ending. Even though people were sitting on the floor, it was intense. Intense enough for people to shout for an encore, and Balmorhea finally concluded the evening and sent everyone home with a splendid song, “Truth”.